KAMPALA – President Yoweri Museveni has ordered all illegal miners in Mubende gold-rich areas to vacate with immediate effect. Museveni issued the directive after he was notified by residents that the mines are full of people from the neighbouring countries such as DR Congo, Tanzania and other countries. The President, while speaking during a youth day celebration, he ordered that all foreigners must leave the gold mines in Mubende district and return to their countries. 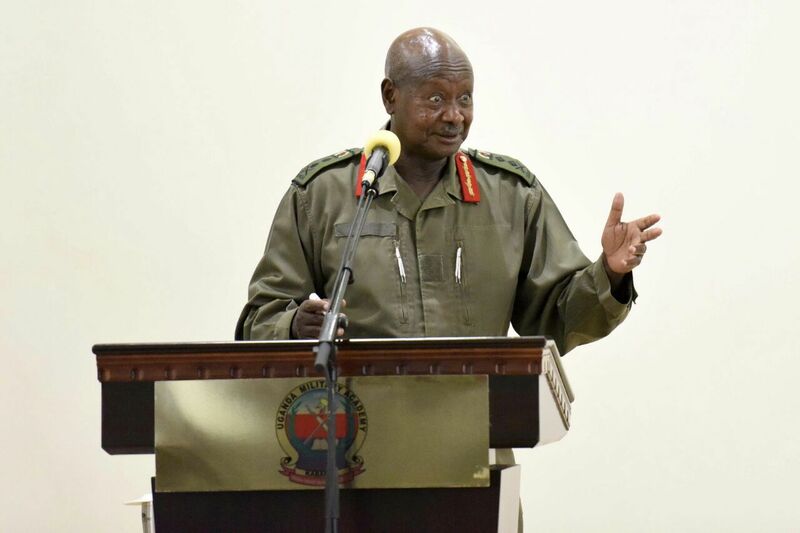 “Gold mines, forests, and all the other natural resources belong to Ugandans so you can’t just go there and use them before getting license from government which manages them on behalf of the people,” he said adding that Uganda is not a no man’s land where anyone can go in and out to do anything without first of all having to seek permission. Museveni accused the illegal miners of disrupting foreign gold miners, who have advanced mining capabilities and that the little gold which the illegal miners get is smuggled out of the country hence not benefiting them and the government. This was after Kadanda district leader Ziad Kalema, asked Museveni to grant the illegal artisans, who were evicted from the gold mines in Mubende last year permission to resume work. “That is why we are saying that leave the licensed gold miners to do their work and get the ‘bread’; we shall later sit down and share it with all of you,” Museveni responded to the request by Mubende leaders. Over 10,000 illegal artisans were evicted on grounds that they were encroaching on the legal mining areas of AUC Mining Company Ltd that secured the mining rights in the gold-rich enclave of Kitumbi Sub County in 2012.